The off-road community remains in shock at the recent loss of KTM rider Kurt Caselli, who during the 2013 Baja 1000 (November 14-16) was killed while leading the race. Caselli was a mere 90 miles from the finish line, which is the final stretch of the 883-mile sprint, when he crashed in a high-speed sandy section of the course. Initial reports accused man-made booby-traps being to blame for the incident, which are common during Baja races. However follow-up reports denied this suggestion, indicating that it appears a small animal, which seems to have crossed Caselli's path, is the alleged reason for the crash. 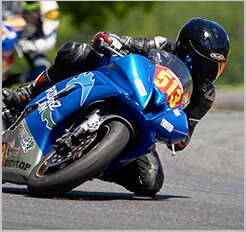 The cause of death is reported to be serious head trauma, one of the most common citations during motor-sports fatalities. Caselli was nothing short of a legend. He qualified on the pole for the Baja 1000 and was leading the race at the time of the accident. At the 2013 Dakar Rally, Caselli represented KTM and the USA, going on to pull two impressive stage wins. Among the many highlights of his career, Caselli earned himself 2007 AMA Sportsman of the Year, 2007, 2010 and 2011 WORCS Championships, 2011 and 2012 AMA Hare and Hound Championships and was the winner of the 2012 SCORE Baja 250. Those who knew Caselli will tell you he was one of the kindest figures in the sport, always making time for his fans. He was a man to be admired, a role-model to all who knew of his career. "To be honest, I'm finding it difficult to do the mystique and grandeur of the Baja 1000 justice in simple words… the awe and beauty of the event can only be matched by the potential for tragedy and hardship. But that's what the men and women who chose to face the trials are looking for: a challenge and adventure that will truly test them and give them a sense for their own limitations and what it feels like to push beyond them. It gives a sense of having lived life to it's absolute fullest." "Of course, in light of [this]…our finishing position seems rather trivial. It wasn't until the early evening that we started hearing rumors about Kurt, and like most people, we didn't want to believe the reports…it simply wasn't possible…it's like a bad dream that I keep wishing to wake from but it keeps sucking me deeper down into it, proving more real." Robby Bell also took a fall of his own, that left him unable to finish the race. He has posted incredible POV video footage of his section, leading up to and including his fall. Kurt Caselli was a champion, and he will be forever remembered and missed from off-road motor-sports. 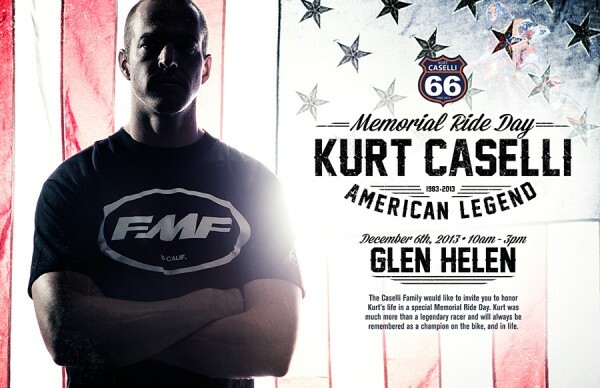 On December 6, 2013 there will be a memorial ride for Caselli to be held at Glen Helen Raceway.